Well I still like lollipop also which is brand new here and hope the two will be able to combine their features. It seems to me that marsh still has bugs in it that need to be ironed out and is in beta and still being developed. Will take a year or so before it becomes mainstream. It was released officially on October 5th, phones are just now starting to get it. I just got it today on my Moto X Pure. Why can't lollipop and marshmallow merge? Why do you keep saying "merge"? What is that even supposed to mean? But I also rather like Marshmallow and the cool new features on it. Wish they had a way to transfer those features to Lolly. How many people are using Marshm. now as opposed to no. of people using Lolly? And by when will Marsh. become all prevalent- is it still at a developmental/debugging stage ? At the moment there is only Lolly available easily- its just been introduced and is still very new, most people are still on far older versions. Marsh. is more difficult to find and buy. Isnt it? Marchmallow is a great update, on one way it's successor of Lolipot. After Lolipop upgrades on Nexus 5 on 5.01,5.1 and 5.1.1 comes upgrade on Marchmallov and there is a lot usefuly news. It's really worth to upgrade. Can You tell what was the size of the update package. I miss ice cream sandwich. Just got a phone with Lollipop - yikes. It's hard to use. No, Lolipop is nice upgrade and it is really worth upgrade; perhaps yoyu'll take some mirror upgrade on lolipop 5.1 and 5.1.1 depend's of device of device you are using. Hey Jane, so you think Lollipop is harder to use? Personally, I think it's roughly the same for complexity (or simplicity). Would you prefer to downgrade to ICS? I am now looking into reverting to Lollipop as file transfers to my iMac are effectively disabled. Yes I do know you now have to manually switch to MTP everytime (terrible) and I eventually figured out to click on the notification and its not in settings (also terrible) but having done this I find the android file transfer app is even more buggy than ever and doesn't see most of the files in some folders. I'm using DroidOverWifi at home but this is not an option at work. Lots of small improvements, one huge deal-breaking problem! I have read that less than 1% of Android users have Marshmallow available, much less installed. Why is everyone spending so much time discussing something they can or won't ever get? Naw is abouth 5% advices on Marchmallow and the nember is growing; as usualy Nexus device get upgrade on Marchmallow first. When will samsung galaxy s6 get this firmware? Doze work fine, on my Nexus 5 have almust twice time on battery in stend by time. Doze works very well on my Nexus 6. On Friday, I managed to get 21.5 hours stand by and 3 hours of screen time. I charged it the night before. Very impressive! Doze is by far the best new feature for me. I just got the Nexus 6P and with doze, I've had my phone unplugged since 5:00 a.m. It's now 9:10 a.m. and I still have 83% battery. It's not like it's just been sitting on my desk either. I've actually been using it a lot. I've used it for a 20 minute call, installed several apps, texting back and forth with friends, checking emails, and showing all my co-workers all the neat stuff in Marshmallow. I'm convinced I won't have any worry about running out of battery anytime during the day. Awesome phone and awesome OS. I also like that it's a pure OS, no bloat-ware. Good going Google! I sincerely hope that Motorola issues the Moto G 1st generation the marshmallow update because this phone is still up to date why not update the system to. Android M sounds amazing. But my main concern is that phone in your article using USB Type C. It looks like a Samsung phone. I don't know any phone with the physical home button that looks like, except Samsung. What device is that? Its Oneplus 2. But it runs on Lolipop 5.1 till date. No M updates so far. Hey Nico, What's with the "Deactivated Account" ????? i am having nexus 5. How can i update my mobile to android M...? Waiting to enjoy it. I hope that they do a better job with M than with L. My wife's Nexus 7 runs like a dog now.. I use it two days now and it is feel smooth and without problems. On the other side I really don't like what they did with photos app end they striped all editing hdr options. 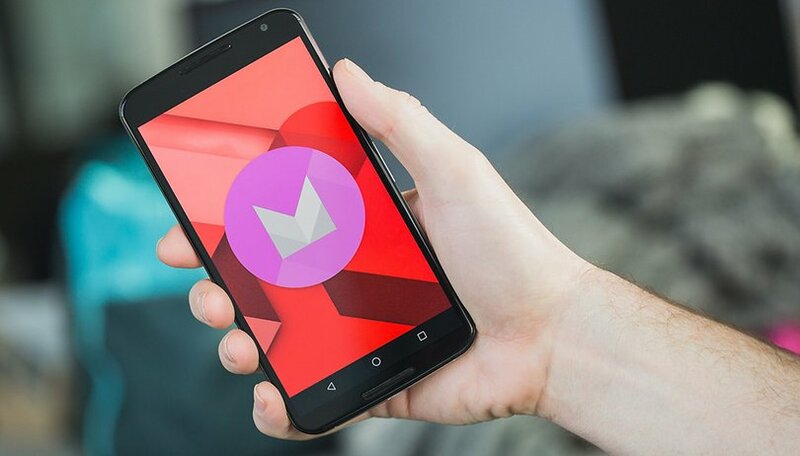 Will reserve judgmenr for when I see / experience Android OS M (Moto X 1st gen hasn't received an upgrade from OS KitKat to OS Lollipop, I doubt it will be upgraded to OS M, I wouldn't mind some of OS M's abilities implemented into Android Smartphones running OS KitKat / OS Lollipop). "Doze" sounds like it could potentially be a big battery drainer. If it's continuously using motion detection it could potentially wear down the battery further if the user never stopped using his phone... as far as finger print scanners, does this mean the Software has been rewritten for my, say a Galaxy Note 4 and now it is more accurate and can be pressed instead of swiping without changing any hardware specs? I've been running it (M preview) for 24 hours and all seems well. Battery drain overnight was 0.2% per hour, during normal use it's better than 5.1.1. All good so far. are all apps working fine ? Almost all apps work fine, probably the only really popular app that's not working is Waze. It's going to be a long wait, for sure. Bring on M!